Includes my findings (over a few days) in the tips section. 4) Go to the items section and buy a scanner. If you have equipment 10 or up buying one of the EDVAC scanners is mandatory to speed up your search. 5) Equip your "tractor" and hotkey your scanners using the top bar and use the EDVAC to scan each system you enter, it will tell you what resources are there- but not if they are empty. 6) Once you find a resource you want E.G. 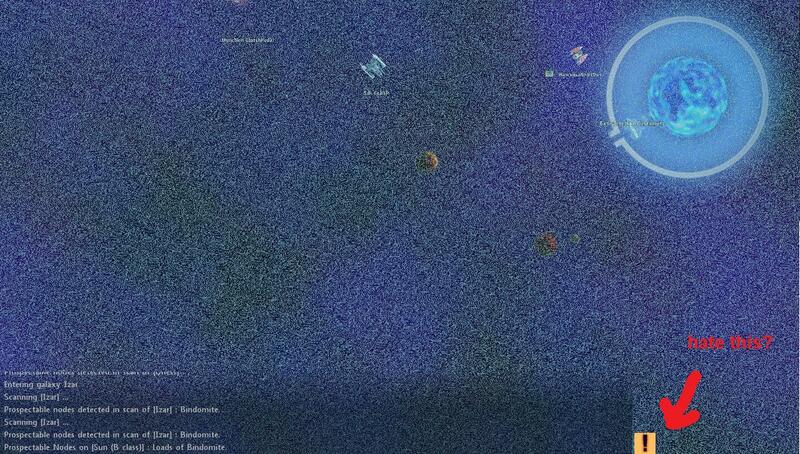 bindomite scan the solar bodies (suns/planets/moons) until you find a node. Now the nodes can be a bit disappointing when they are empty but move along and stay strong. Let us assume the bindomite node is full and has "loads" of bindomite, we can then tractor on to the node and the bindomites will extract. 3 ) Bindomite comes from suns only and is a lot more frequent than it's price suggests. 5 ) While looking for bindomite carry all 3 scanners as the cooldown is quite high. 6 ) as far as i know, bauxite is moon only and usually empty. 8 ) I have not found any resources in DG sun's yet, but i have only ever checked the first level... hmm? 9 ) In wild space, there are copious amounts of other resources, though bindomite i have only found one node. Or perhaps i was drunk. 11 ) In EF space there is plentiful bindomites, umbras tin, titaniums..
12 ) In celestial garden... nothing really. Who prospects for metals?! nice little guide, succinct and informative. I hope I could be of service. You should get an an SS equivalent of the Pulitzer prize for this guide Kval. It is tech 15 in awesomeness. Thanks for taking the time.